Attract, Retain and Develop the right people to help your business grow! HR Made EZ is a company with a combination of human resource and business consultation specializing in strategy, human resources and compliance. We are available on an on-call basis to help you attract, retain and develop the right people and to put effective processes in place that will grow your business. Talent management describes an organization’s commitment to hire, manage, develop, and retain talented employees. It comprises all of the work processes and systems that are related to retaining and developing a superior workforce. Rewards & Recognition is appropriate acknowledgement and appreciation of employees’ efforts in a fair and timely manner. This includes appropriate and regular financial compensation, as well as employee or team celebrations, recognition of years served, and/or milestones reached. Without strong employee training and development programs, your team will not grow with the company. We can help with a variety of soft skill and employment compliance training. Employment legislation includes all types of employment protection measures, whether grounded primarily in legislation, court rulings, collectively bargained conditions of employment or customary practice. The term ’employee relations’ refers to a company’s efforts to manage relationships between employers and employees. An organization with a good employee relations program provides fair and consistent treatment to all employees so they will be committed to their jobs and loyal to the company. Outplacement is the support service provided by responsible organizations, keen to support individuals who are exiting the business (voluntarily or involuntarily) – to help former employees transition to new jobs and help them re-orient themselves in the job market. HR On-Call offers organizations with limited human resource support a timely and cost effective option for receiving expert advice on challenging people issues. By placing a phone call you will be connected, within 24 hours, to the Specialist best qualified to assist you. The Specialist will spend time with you over the phone to ensure that they understand your issues. They will then provide you with advice or an action plan so that you can move forward quickly and efficiently. At HR MADE EZ we specialize in helping entrepreneurs succeed. As your business grows your requirements change. It is up to us to help you transition your company through growth phases and assist with company matters. 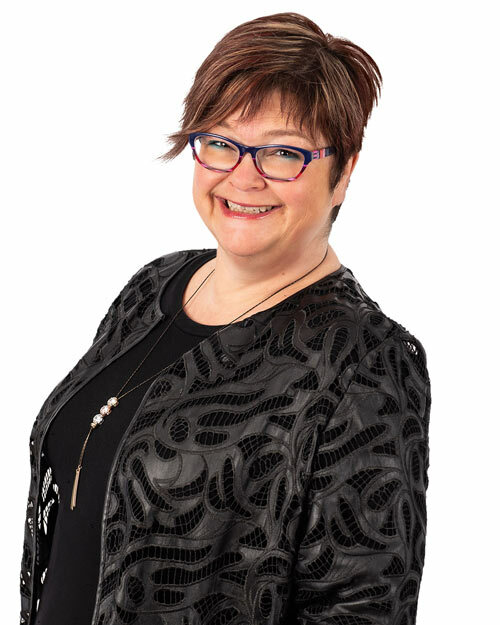 Lenaee Dupuis is a Human Resources Professional who works with clients to utilize best practices and to find the best outcomes for your company and culture. She is a consultant for a variety of companies and enjoys working with you for the best outcome! Lenaee has worked in a variety of industries including Technology, Consumer Packaged Goods, Freight Forwarding and Medical Devices. Her network is broad and her experience is tenured. She has recruited at all levels, developed training programs such as Change Management, lead candidate and team assessments such as DISC and Lominger and created a variety of Human Resource programs over her career. Lenaee holds a Biology and English degree from Trent University and a Human Resources diploma from Sir Sandford Fleming College. She is also a hockey and baseball mom to her son, Alton, and loves to travel with him and her husband Kevin. She also has a crazy dog named Buddy that you should ask her about! You can trust us with all your human resources needs. Let’s discuss how we can help you with your Human Resources Needs!